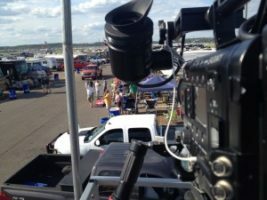 Atlanta Video Crew Is DEGA Bound Baby! Woo! 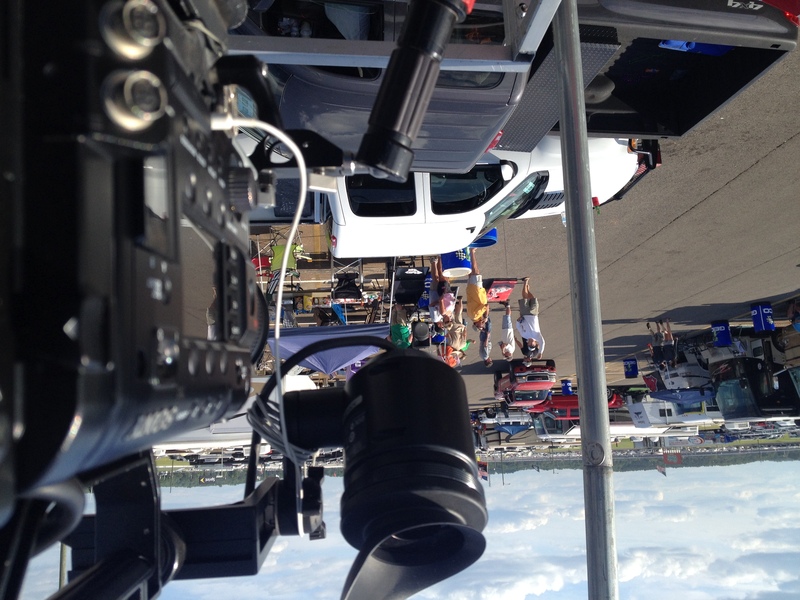 Go To Team Elite Camera Crew & Video Production Crew | Atlanta Video Crew Is DEGA Bound Baby! Woo! 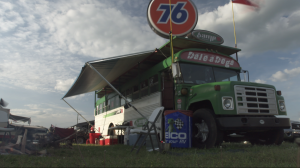 “DEGA BOUND BABY!” The amount of times I read that painted on on the windows of race viewers trucks was astounding. Even more than that, hearing that phrase never gets old – I even started saying it myself by the end of the weekend. 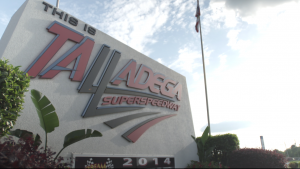 Friday morning, I headed to Talladega Superspeedway with a Sony F5 to shoot for FOX Sports. I was super excited to use the camera because I heard awesome things about it. It’s compact and actually feels like Sony thought about this one as far as ENG shooting goes. Screen grab from a time-lapse. It’s worth noting that Dega was my first job with Go To Team and this time marks my second year with the company, WOO! 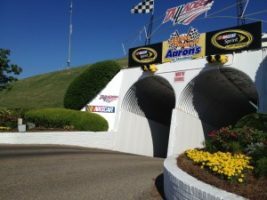 I got there and old memories popped up as I smelled the combination of race fuel, burnt rubber and stale beer. I’ve come a long way since I first walked in there with an audio pack on my belly. 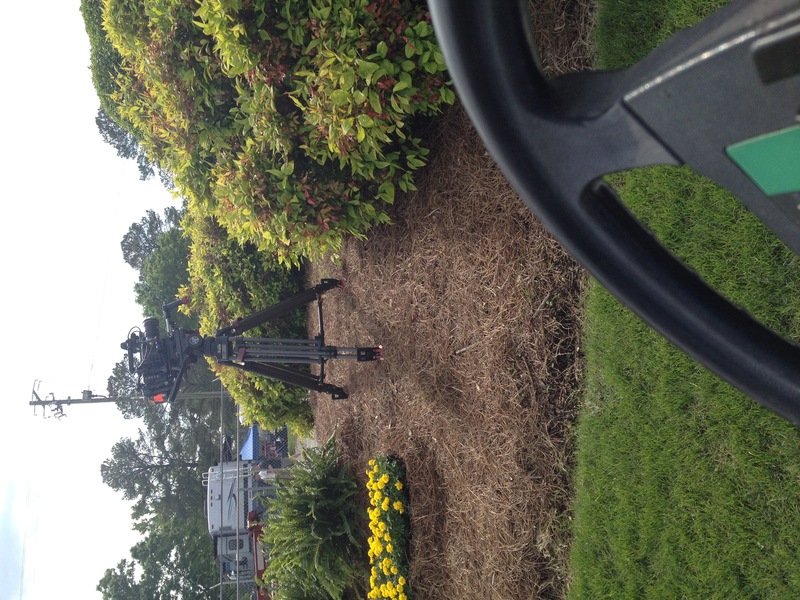 Most of the weekend was filled with shooting and riding on golf carts. The track and surrounding property is so large, you have to ride a golf cart to get anywhere and it still takes 10 mins. We explored areas that media don’t usually go – of course the infield, but we shot a piece out in the boonies of camping. Some of these people go all out at the races with their set ups. Every site we stopped at was super hospitable, offering food and drinks and to just hang out. The racing fan base are some of the rowdiest/nicest people around. One of the creations. The sign on top spun. Screen grab from a time-lapse. We also shot a ton of time lapses. Since the F5 doesn’t have an intervelometer built in, I had to use a work around with the S&Q motion. They turned out really cool and worked well in the pieces. I was able to get on top of some of the roof-top viewing decks and shoot up there. It was magical. The last day we were there, we followed around racer-wife, Krissie Newman for a piece for mother’s day. We caught her landing at the airport, getting the kids ready for the race, and seeing Ryan off as he hit the pavement. We stuck around for the race and shot a bit of her watching and called it a day. 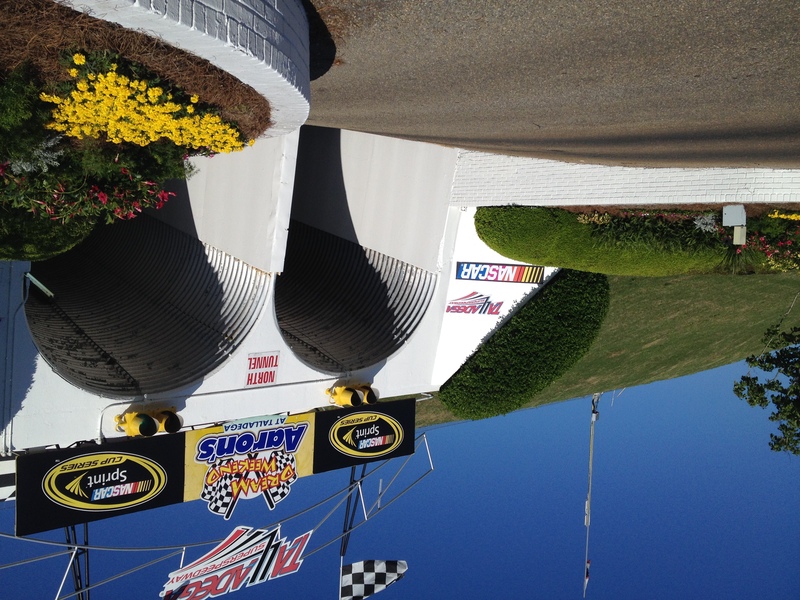 DEGA is always a good time and 2014 didn’t disappoint. Plus the catering is always super solid. 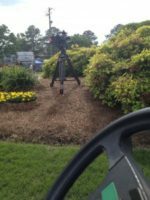 Time lapsing from the top a of a jalopy! There’s a sign in that brush, I promise i’m not shooting a plant. The entrance to it all! DEGA!